The Asia Society is an international organization dedicated to strengthening relationships and deepening understanding among the peoples of Asia and the United States. Founded in 1956 by John D. Rockefeller 3rd, the Society reaches audiences around the world through its headquarters in New York and regional centers in Houston, Los Angeles, San Francisco, Washington, DC, Hong Kong, Manila, Melbourne, Shanghai and, most recently, Mumbai. A nonprofit, nonpartisan educational organization, the Society provides a forum for building awareness of the more than thirty countries broadly defined as the Asia-Pacific region—the area from Japan to Iran, and from Central Asia to New Zealand and the Pacific Islands. Through art exhibitions and performances, films, lectures, seminars and conferences, publications and assistance to the media, and materials and programs for students and teachers, the Asia Society presents the uniqueness and diversity of Asia. The Asia Society is supported by contributions from foundations, corporations, and individuals. ArteEast’s vision is of a thriving and sustainable arts sector in the Middle East and North Africa. Its mission is to deepen international arts engagement and to provide support to MENA-based artists and arts organizations in order to broaden the global audience for contemporary culture from the region. Our mission is realized through four strategic pillars. Asia Art Archive (AAA) was initiated in 2000 in response to the urgent need to document and secure the multiple recent histories of contemporary art in the region. AAA has collated one of the most valuable collections of material on contemporary art in the region. Built of 85% donated material, the collection now holds over 50,000 records, comprised of hundreds of thousands of physical and digital items, and it continues to grow. Accessible free of charge from AAA’s physical space and searchable from anywhere in the world via the online catalog, much of the collection is now also available globally via the Collection Online. Japan Society, one of America’s leading resources on Japan since its establishment in 1907 in New York, is a not-for-profit and non-political organization, which promotes understanding and cooperation between the U.S. and Japan through a full range of programs in arts and culture, global affairs, and education. These programs create rich encounters and exchanges that increasingly THEreflect the broader Asian and global context of the U.S.-Japan relationship. Through the leadership of its Trustees and staff, The Museum of Modern Art manifests this commitment by establishing, preserving, and documenting a permanent collection of the highest order that reflects the vitality, complexity and unfolding patterns of modern and contemporary art; by presenting exhibitions and educational programs of unparalleled significance; by sustaining a library, archives, and conservation laboratory that are recognized as international centers of research; and by supporting scholarship and publications of preeminent intellectual merit. Central to The Museum of Modern Art’s mission is the encouragement of an ever-deeper understanding and enjoyment of modern and contemporary art by the diverse local, national, and international audiences that it serves. The Queens Museum is dedicated to presenting the highest quality visual arts and educational programming for people in the New York metropolitan area, and particularly for the residents of Queens, a uniquely diverse, ethnic, cultural, and international community. The Museum fulfills its mission by designing and providing art exhibitions, public programs and educational experiences that promote the appreciation and enjoyment of art, support the creative efforts of artists, and enhance the quality of life through interpreting, collecting, and exhibiting art, architecture, and design. The Queens Museum presents artistic and educational programs and exhibitions that directly relate to the contemporary urban life of its constituents, while maintaining the highest standards of professional, intellectual, and ethical responsibility. In 2010 Arakawa and Gins founded the Reversible Destiny Foundation as a coordinated means of engaging The Mechanism of Meaning’s theoretical implications and call to reinvent our species through works of procedural architecture. The Foundation actively collaborates with leading practitioners in a wide-range of disciplines including, but not limited to, experimental biology, neuroscience, quantum physics, experimental phenomenology, and medicine. Architectural projects have included residences (Reversible Destiny Houses, Bioscleave House, Shidami Resource Recycling Model House), parks (Site of Reversible Destiny-Yoro) and plans for housing complexes and neighborhoods (Isle of Reversible Destiny-Venice and Isle of Reversible Destiny-Fukuoka, Sensorium City, Tokyo). In 2006, the Guggenheim Museum became the first international modern and contemporary art museum in the west to establish a curatorial position for Asian art. The museum’s new Asian art initiative has a three-dimensional strategy: exhibitions, acquisitions, and educational programs. Working with leading museums, academic institutions, cultural organizations and galleries, we aim to stimulate top-level critical discourse, scholarship, and curatorial activity, and to expand the parameters of what defines Asian art today across two related but distinct arenas: the international and the local/ regional. We are working now to bring “the Asian dimension” across virtually all of the Guggenheim’s programs. Geographically, we are focused on the primary centers of contemporary art in East Asia (China, Japan and Korea); Southeast Asia (Thailand, Indonesia, Singapore); and South Asia (India and Pakistan). Their interest also extends to Iran, whose traditional Persian culture is historically aligned with South Asia, and to artists in Iran and across South and Southeast Asia who are engaged in issues surrounding their Islamic culture and identity. Our focus also includes artists of Asian heritage who live and work anywhere in the world. The Master of Arts degree in Curatorial Practice is a two-year program at the School of Visual Arts that focuses on professional training with a thorough grounding in the relevant study of history, research and theory, and with an emphasis on hands-on work with experts in the field, professional networking and the foremost goal of placing graduates of the program in curatorial jobs. The program takes full advantage of the vast number of arts institutions and professionals on the doorstep of SVA in Chelsea and throughout New York City, which provides countless opportunities for study, mentoring and professional development. The Sylvia Wald and Po Kim Art Gallery, 501(c)(3) non-profit organization, was founded by Korean born American artist Po Kim and his wife, American artist Sylvia Wald. The Sylvia Wald and Po Kim Art Gallery’s primary mission is to preserve, maintain and perpetuate the legacy of the founders’ uniquely accomplished artistic careers and to exhibit the founders’ art works to promote and widen the public appreciation. In recognizing the importance of mutual understanding and the acceptance between Eastern and Western cultures, the organization promotes cultural harmony through the arts by sponsoring and hosting temporary art exhibitions, dance and music performances, and other artistic events of national and international artists, known or promising. By working together with national and international artists, the organization aims to provide a catalyst for deeper intercultural dialogue between the diverse community of New York and the artistic communities of the world. Established in 2011, Twelve Gates Arts is a non-profit organization based in Philadelphia that holds monthly exhibitions of contemporary and modern art by artists from countries in South Asia and the Middle East, as well as by diasporic artists from those regions. Through a unique and thought-provoking atmosphere, Twelve Gates Arts aims to showcase international multidisciplinary arts bound by the sensibilities of a diasporic identity, especially the South Asian identity, and to create and promote projects in the community that cross geographic and cultural boundaries. The artists represented comprise an impressive spectrum of established masters as well as cutting-edge and outstanding newcomers. In addition to exhibitions, Twelve Gates holds regular Salon events, showcasing works by artists in film, multi-media, literature and performance. Formerly Bose Pacia, it is the mission of +91 Foundation to support the ongoing discourse between the South Asian avant-garde, the global art world and the general public. +91 Foundation provides platforms highlighting contemporary art practice from South Asia and its diasporic communities to the public domain. Through multiple interrelated programs, +91 Foundation strives to document, archive and critically analyze the contemporary art practice of South Asia. We facilitate innovative, experimental work and mediate creative risks taken by South Asian artists and the global art world. 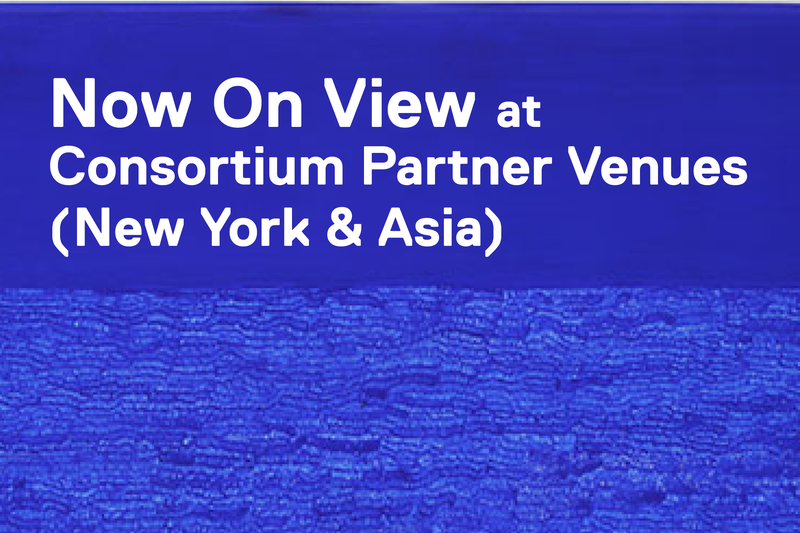 Aicon Gallery with two gallery spaces in New York and London, begins in the Indian Subcontinent but reaches outwards internationally from there. They provide a unique platform for Indian and Pakistani artists to exhibit in the United States and Europe. Aicon creates a space for dialog and cross collaboration between the arts of India, Pakistan and the west by critical exhibitions of work by emerging and contemporary South Asian artists. Established by Christopher W. Mao, Chambers Fine Art is a gallery specializing in contemporary Chinese art located in New York and Beijing. It was Recognizing the need for a gallery that would serve as an authoritative source of information on the latest developments in the rapidly growing contemporary art world in China, Mao named his gallery after Sir William Chambers, the celebrated British architect who was a leading exponent of Chinese principles in garden design in the late eighteenth century. Founded in 1766 by James Christie, Christie’s auction house speaks to extraordinary art, unparalleled service, passionate expertise, international allure and global recognition with its 53 offices in 32 countries and 12 salerooms. Over the course of its more than 250-year history, Christie’s has grown and diversified into the world’s preeminent auction company. The South Asian Modern + Contemporary Art department at Christie’s is renowned for bringing to auction the finest pieces from India, Pakistan, Bangladesh and Sri Lanka from the last hundred years, including works by Francis Newton Souza, Tyeb Mehta and Vasudeo S. Gaitonde that span a range of movements and political upheavals. The preeminent gallery specialized in Indian modern art, established in New Delhi in 1993, DAG Modern has locations in New York, New Delhi and Mumbai. With over four hundred artists in its collection, Dag Modern’s museum-like collections include masters and senior artists of the movement all the way to more recent contemporary art, an important historical as well as chronological time-line of the entire movement of modern art in the country. DOOSAN Gallery New York is Korea’s first non-profit organization to be recognized by the State of New York and the New York City Department of Education. With its prime location in Chelsea opened in 2009, the gallery brings Korean contemporary art more recognition and attention on the international stage. In 2013, the Gallery relocated to an 8,000 square foot street-level space at 525 West 22nd Street in Chelsea to accommodate increasingly ambitious large-scale projects and the visions of its artists. In the same year, Klein partnered with long time collaborator Shanna Sun to form Klein Sun Gallery. Today, the Gallery has an international reputation as one of the foremost galleries specializing in Chinese contemporary art and continues to advance the careers of its represented artists. The Gallery’s programming encompasses exhibiting, museum collaborations, art fair participation, public art projects, artist residencies, academic publications and social engagement, aiming to promote awareness, recognition and access to Chinese culture. Klein Sun also maintains an office in Beijing. Owen James Gallery is a contemporary art gallery focusing on emerging and mid-career artists from an international perspective. The gallery is a showcase for the crossroads of America, Asia and Europe, with a special interest in Southeast Asian contemporary art. Through intrepid research, exploration, and critical curation the gallery strives to present a balance of perspectives, methods and genders. Founded in 1975, the Ronin Gallery is a leading East Asian art gallery in New York City and home to the largest collection of 17th – 21st century Japanese prints for sale in the United States. For 40 years our mission has been to introduce the best of Japan and East Asia’s traditional and emerging artistic talents to a global clientele. Roya Khadjavi Projects is an initiative dedicated to supporting the artistic endeavors of young Iranian artists working both inside and beyond the borders of Iran. Through various exhibitions and events in New York City, the platform facilitates awareness and cultural dialogue between artistic communities in Iran and the United States. Ryan Lee was established in 2013 by Mary Ryan and Jeffrey Lee. Located in the Chelsea district of Manhattan, the gallery is home to a dynamic roster of international contemporary artists working in a diverse array of media. Representing both established and emerging artists, Ryan Lee is committed to showing innovative and pioneering exhibitions that represent the spectrum of contemporary art practices, and will also be a platform for many artists’ first New York exhibitions. Sundaram Tagore Gallery, established in 2000, is devoted to examining the exchange of ideas between Western and non-Western cultures. With spaces in New York City (in Chelsea and on Madison Avenue), Hong Kong and Singapore, the gallery was the first to focus exclusively on the rise of globalization in contemporary art. The gallery represents painters, sculptors and photographers from around the globe. They each work in different mediums and use diverse techniques, but share a passion for cross-cultural dialogue. The gallery is renowned for its support of cultural activities—including book launches, music performances and film screenings—that further its mission of East-West exchange. Tyler Rollins Fine Art has as its primary focus the contemporary art of Southeast Asia, one of the world’s most culturally diverse and dynamic areas. After many years of travel in the region, the gallery have identified an impressive group of emerging and mid-career artists whose work we feel privileged to present to New York audiences, in many cases for the first time. With solo exhibitions of these artists’ new works, as well as a number of group shows, the gallery will shine a spotlight on some of the most exciting trends in contemporary art in Southeast Asia. Its goal is to highlight the interconnectedness of today’s globalized art world and to foster inter-cultural dialogue between East and West. We encourage artists, wherever they may reside, who explore the particularities of culture within a wider international context. Founded in 2007, Alserkal Avenue (Dubai) is the region’s foremost arts hub, bringing together collaborators from diverse artistic disciplines and encouraging open dialogue, the sharing of ideas and the ability to collaborate to develop them. Spread across 250,000 Sq ft, Alserkal Avenue’s creative warehouse spaces coexist with industrial workshops. The Avenue houses numerous galleries of international repute, dynamic art spaces, and homegrown cultural initiatives. Edouard Malingue Gallery was founded to show established and emerging contemporary artists. Located in the Central district of Hong Kong, the gallery has a strong regional focus and has held solo exhibitions with notable Asian artists, including Sun Xun, Yuan Yuan, Wang Zhibo, Cui Xinming, Charwei Tsai, Wu Chi-Tsung, João Vasco Paiva, and Nuri Kuzucan. In addition to the active on-site programme, the gallery is committed to organising public installations, performances, off-site exhibitions as well as creating publications in collaboration with curators across Asia and internationally. Ink Studio is a Beijing-based gallery and experimental art space devoted to documenting and responding to new and exciting developments in the media of ink painting currently emanating from China. In its exhibition program Ink Studio seeks to demonstrate how a group of important artists have, over the past decades, been highly active in researching and developing the immense contemporary creative possibilities of the millennia-old language of paper, brush and ink. These artists’ work is increasingly attracting serious international critical attention. Ink Studio’s mission is to present the best of this work to the public in a closely curated exhibition program supported by in-depth critical analysis, scholarly exchange and bi-lingual publishing in Chinese and English. A cornerstone of the ambiguous West Kowloon Cultural District, M+ is Hong Kong’s new museum of visual culture, encompassing twentieth and twenty-first century art, design and architecture, and moving image from Hong Kong, China, Asia, and beyond. From its vantage point in one of the world’s most dynamic regions, M+ documents the past, informs the present, and contributes to the future of visual culture within an even more interconnected global landscape. The museum takes an interdisciplinary approach that both challenges and respects existing boundaries, while creating a meeting point of a multiplicity of perspectives, narratives, and audiences. Since 2012, M+ has been presenting diverse public programmes and exhibitions, and is amassing a permanent collection, in the run-up to the scheduled 2019 public opening of the museum building designed by Herzog & de Meuron with TFP Farrells and Ove Arup & Partners HK. Richard Koh Fine Art has been in operation since 2005 and is regarded as a pioneer for introducing Southeast Asian contemporary art to Malaysia and the region. Promoting an adventurous roster of emerging and established Southeast Asian artists, the gallery regularly mounts exhibitions locally and abroad with a commitment to emerging practices and challenging media.